What if you met the perfect boy, but discovered he was an android? When Nadia first met him, Robert was an awkward boy with striking green eyes, hardly someone on the FBI's most wanted list. But when Robert reveals his secret, Nadia and the Gems are thrown into a cross-country chase dodging FBI agents, Russian mercenaries, and a Polynesian giant named Kawiki. Who are the Gems? A talented group of teen girl spies who know how to take care of themselves. Tomorrow Always Lies is the second book in The Gems Young Adult spy thriller series that features strong characters, girl-power bonding, riveting action, and lots of fun. Think Gallagher Girls sprinkled with some Star Trek. This book made for a very fun read! An all-girl teen action story with a sentient AI boy robot as the love interest?! Yes, please! Tomorrow Always Lies did not disappoint. Right from the beginning I became lost in the story and engaged. 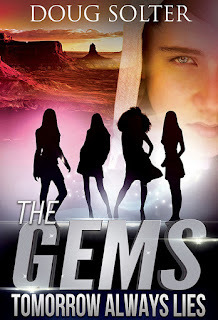 The chapters switch between the Gems, four girls who are secret spies. I liked this aspect as I did not read book one so this POV change helped me get to know the girls. This is a fast-paced story which matches perfectly with the action. Each Gem was a developed character who had her own voice and personality. This aspect helps hold the story together and gives it more dept as each girl battles her own problems. I would recommend this book to anyone who enjoys reading YA with strong female leads. If you enjoy action or science fiction you can't go wrong with this one! 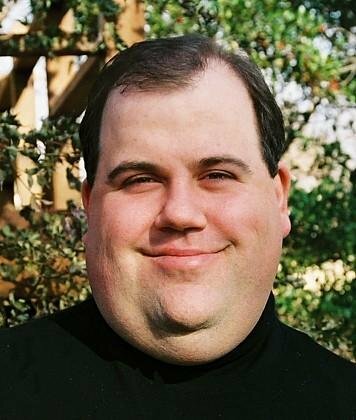 Doug Solter began writing screenplays in 1998, then made the switch to writing young adult fiction in 2008. Doug has worked in television for over twenty years. So far in his life, Doug has enjoyed wine on the streets of Barcelona. Hiked the mountains. Loved a cat. Rang up vanilla lattes at Starbucks. Enjoyed a Primanti's sandwich in Pittsburgh. And one summer he baked pizzas and crazy bread for money when Michael Keaton was Batman. Doug lives in Oklahoma and is a member of the Society of Children's Book Writers and Illustrators. What Makes Science Fiction So Unique?